The 36 million Regional Evacuation Center situated in Tagbilaran City was officially turned over to the city’s local government unit (LGU) last week. 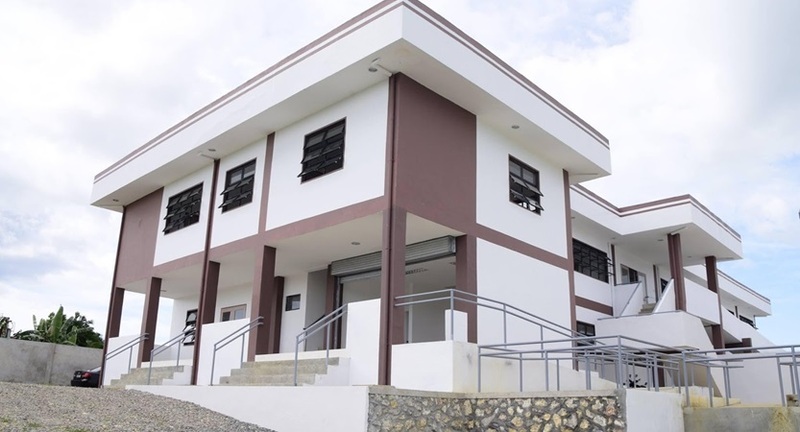 The new facility has eight buildings which consist of a clinic, bathroom facilities, water pump warehouse, generator building, laundry area, office building, accommodation building, and a material recovery facility. The facility is situated in a 3,000 sq.m. property owned by the LGU. With a Memorandum of Agreement (MOA) among the Office of Civil Defense, Department of Social Welfare and Development (DSWD) 7, and Department of Public Works and Highways (DPWH) 7, the new evacuation center will be managed and operated by the City Government of Tagbilaran through the City Disaster Risk Reduction and Management Office, CDRRM Officer Gerard Lavadia said the new center could accommodate 300 evacuees. Although Tagbilaran City is the main user, Lavadia said it could also be used by nearby LGUs in case of calamities. “The center could also serve as a training facility for disaster management related activities. It could also serve as a multi-purpose hall for important functions and events,” Lavadia said. Tagbilaran Mayor John Geesnell Yap for his part thanked the NDRRMC and DPWH for the much needed infrastructure. “We are indeed privileged and happy that the City of Tagbilaran has been given the opportunity to strengthen its disaster risk reduction and management efforts through this evacuation center,” Yap said during the turnover ceremonies.